Break free from bad habits. Access your full potential. Click Here and then fill out the form below. Offer good for new members. Studies indicate the best way to attain fitness goals is working with a personal trainer. Inquire today to schedule your free training session by calling (425) 778-7627! He’s studied boxing, kettlebells, TRX, and VIPR. He earned his Bachelors in Sports Science from Brighton University. And, he regularly spends time researching new training techniques. 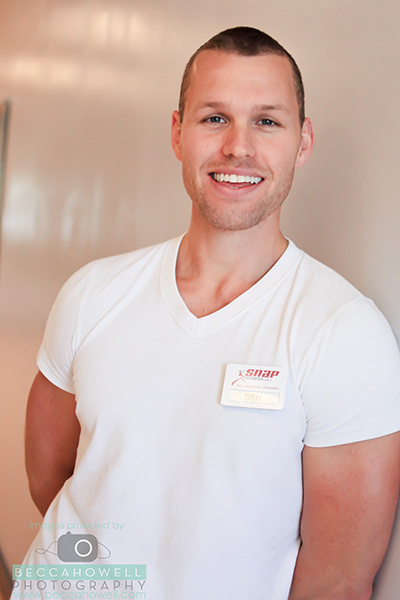 As a personal trainer at SNAP Fitness 24/7 in Edmonds, Ben leads training sessions and outlines “homework” for athletes. A loving husband and proud father of two, he enjoys gardening, snacking on avocados, and playing with their family dog, Kani. 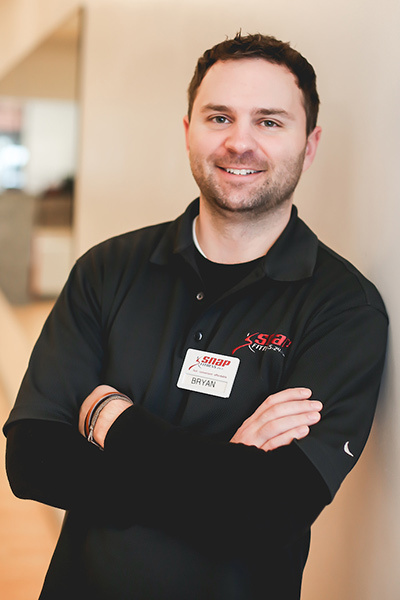 A sports junkie since birth, Bryan’s active lifestyle led him to open Edmond’s Snap Fitness 24/7 in 2008. As the local owner, he wears many hats ranging from day-to-day operations and marketing to member retention and staff management. But Bryan’s favorite is when he can take one of the club’s classes, especially P90X. Bryan has his Bachelors in Society, Ethics, and Human Behavior from the University of Washington. (Go Huskies!) He’s a football-watching, travel enthusiast who loves spending time with family and friends. He does yoga regularly, enjoys music festivals, and digs Triscuits topped with meat and cheese. A karaoke-singing gal with ever changing hair color, Kelly is originally from Mount Shasta, California. 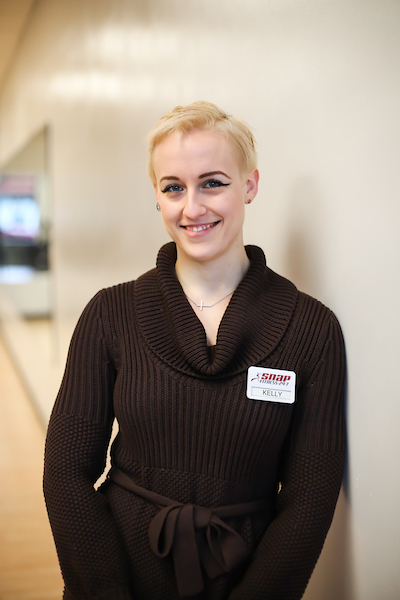 In 2016, she joined the staff as part of Snap Fitness 24/7’s Member Services team. She has her Bachelors in Theater from Southern Oregon University and has worked in customer service for more than 15 years. She loves lifting weights, playing pool, and cracking jokes. Yoga is my life and journey. I started on my yoga journey in college and recently graduated from Satyam Yoga School’s 200 hour program with a clear head and a mission to teach. The classes I teach are challenging and fun with a mix of humor and levity. I take yoga seriously but I realize with a little laughter and a few smiles we can all get through the class with grace and strength and hopefully learn something about ourselves. Every student is unique and on their own journey and I guide them through using their own strength and skills to success. I teach my students and they teach me. Fitness guru, Brian Lovelace, joined the Edmonds Snap Fitness team in 2017. As Personal Trainer and Fitness Instructor, he shares more than 10 years of industry experience with our staff and members. 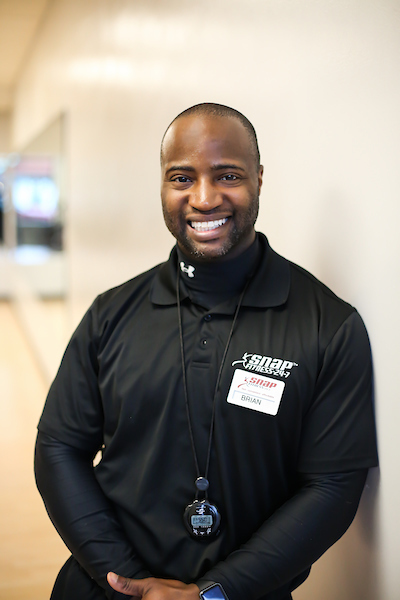 Professionally trained at the National Academy of Sports Medicine as a Corrective Exercise Specialist, Brian is passionate about educating and motivating members. He loves training and is committed to helping members see results. A red hot-eating, constantly smiling, Philadelphia native, Brian moved to Washington more than 20 years ago. He brought with him an enthusiasm for playing chess, inline skating, and cycling. remain fit throughout her life. Today that dream has become her reality. Get your fitness goals moving. Ask about our 30-Day Gym Pass for $19.95. Call (425) 778-7627 Today. NEW Small Group Training sessions offer beginner-friendly workouts, build camaraderie, and help you achieve your goals. Multiple convenient sessions are available to fit your schedule. Start looking forward to your workout. Get the results you want and the motivation to live fit. Call (425) 778-7627 to learn more. Get in. Get results. Get on with the business of living. 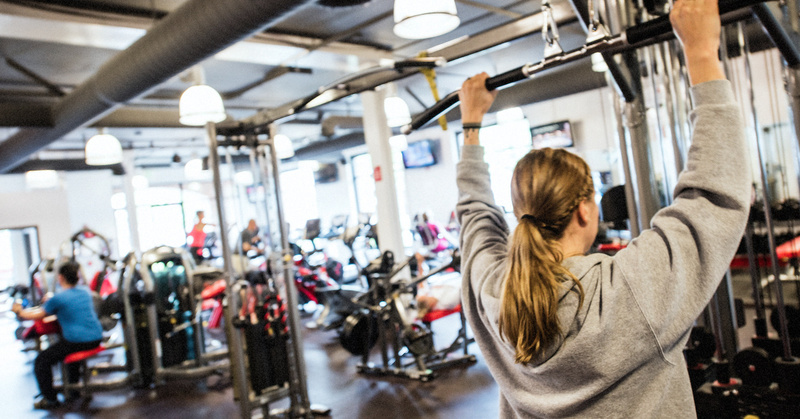 At Snap Fitness we believe in empowering you to live the healthy life you want. 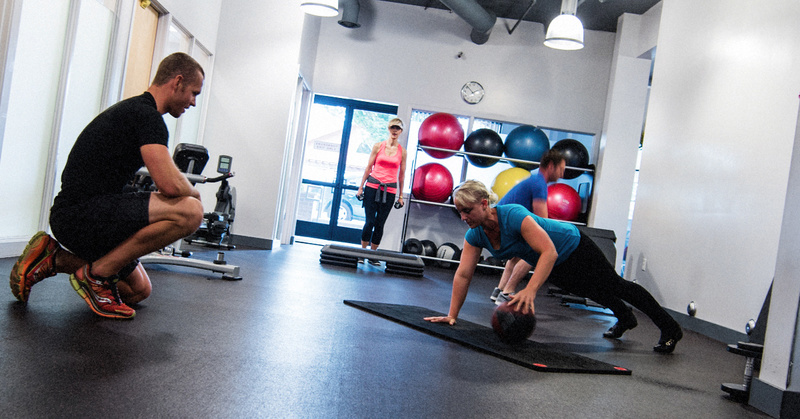 Our neighborhood-friendly fitness center is results oriented. 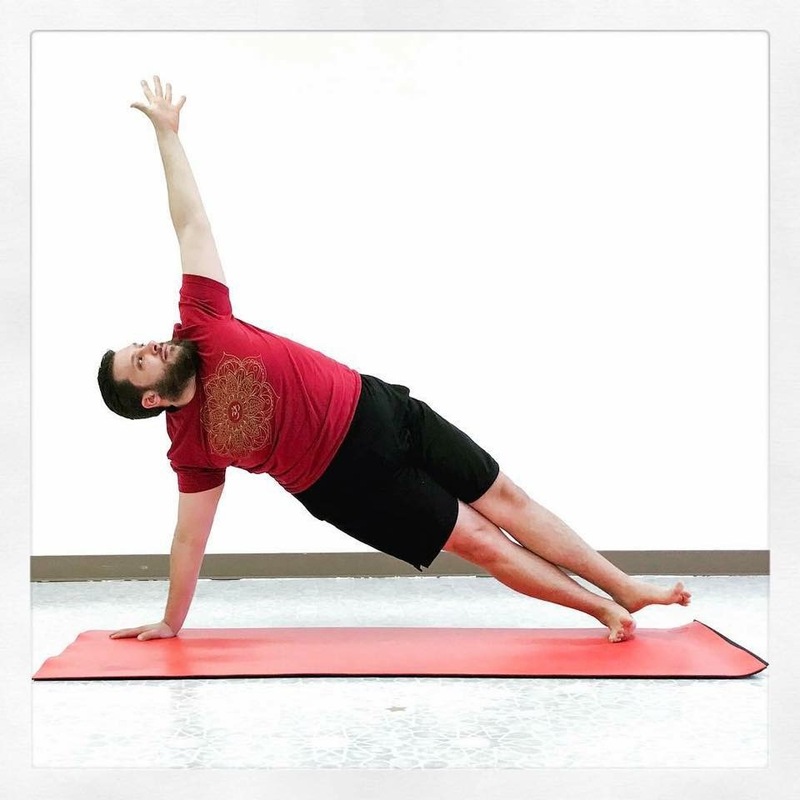 We offer classes such as Vinyasa Yoga, Silver Snappers, and Chair Yoga. We provide functional training to help you train for your everyday life. Start Your 30-Day Gym pass for only $19.95. Call (425) 778-7627 today or click here to view our current specials. Go beyond steps and estimated calories burned. With the Myzone fitness tracker you can accurately track your progress in real time. Bluetooth equipped, the Myzone belt monitors your heart rate so you can accurately determine how long and how hard you need to work in order to achieve real results. You’ll benefit from email feedback and motivational tips. The smartphone app gives you the ability to track your food, compete against yourself and friends, and make exercise fun! Take tracking beyond the trendy wrist-based device and choose the activity tracker that helps you meet your fitness goals. We give the tools and support you need to access your full potential and achieve the results you want. Workout on your schedule. Members enjoy 24-hour access 365 days a year. No contracts. No cancellation penalties. We are your results-driven gym in Edmonds. We perform daily cleanings and twice-yearly deep scrubs to ensure your fitness center remains grime free. Get in shape and have fun while doing it. Lead by our skilled training staff, our classes offer a mix of intense cardio, body weight strengthening, and lean stretching. Or, you can opt for a small group training session to some additional one-on-one attention. 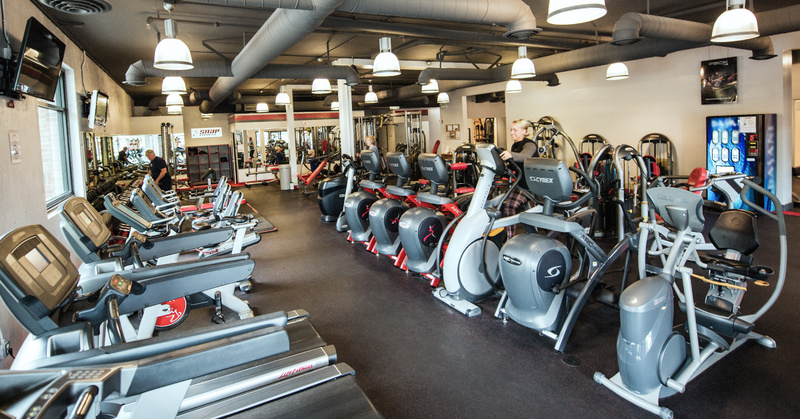 Thank you for taking the time to research Snap Fitness – your local Edmonds gym. We’re incredibly honored to have served the greater Edmonds, Lynnwood, and Shorelines communities since 2008. Our team is committed to helping you achieve results. This is why providing a welcoming, pressure-free fitness facility is one of our top priorities. Our gym is light and airy. It’s cleaned regularly. And, we offer free, secured parking. We feature a variety of classes, including Vinyasa Yoga, Silver Snappers and Chair Yoga. Classes are taught by our highly skilled personal trainers, both of whom also offer personal training sessions. Come on by. Introduce yourself. Tell us about your fitness goals. Rave with us about how beautiful Edmonds is. We love it all. P.S. Are you on Facebook? Like us for local fitness news, fitness tips, member events and special offers.